Miss Goes Away: Saying goodbye to "Friends" - again. Tonight I finished watching Friends all over again and it hurt just like the first time. I laughed, as I did in every other episode, but I shed a tear when it ended - obviously, it's the e n d.
After re-watching the episodes I still think this is the best sitcom ever. It's always funny, I mean, a l w a y s. It never get's boring, I can't get tired of watching it. I could try to find another series that was as good as this one but I don't think I will. There are many great series, but Friends is definitely the b e s t. They made me laugh every morning, every afternoon, every night I watched it for these past few months. 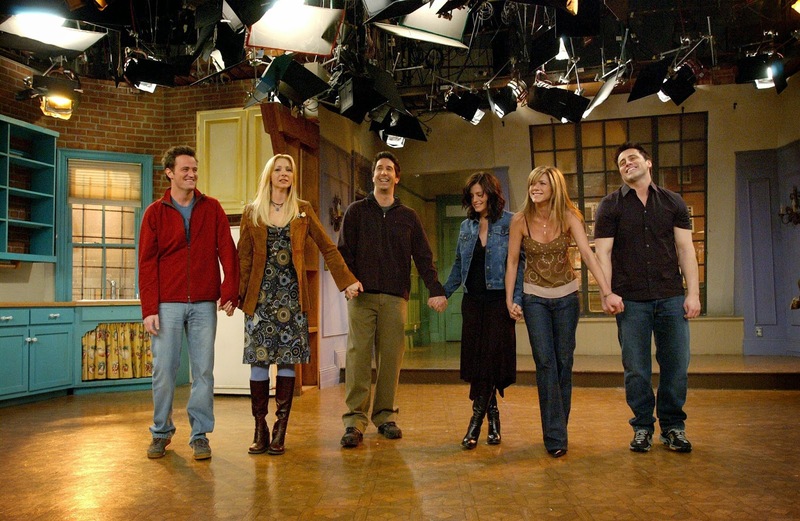 They are all great: Rachel, Ross, Joey, Phoebe, Monica and, my favourite, Chandler. The best characteres. The best group. The very best company. I'll miss you guys... But only for a few months. Then I will start watching the series - a g a i n. Should I be worried? I guess this is kind of a sickness (but a good & funny one). Just remember whenever you're feeling down you'll always have Friends.